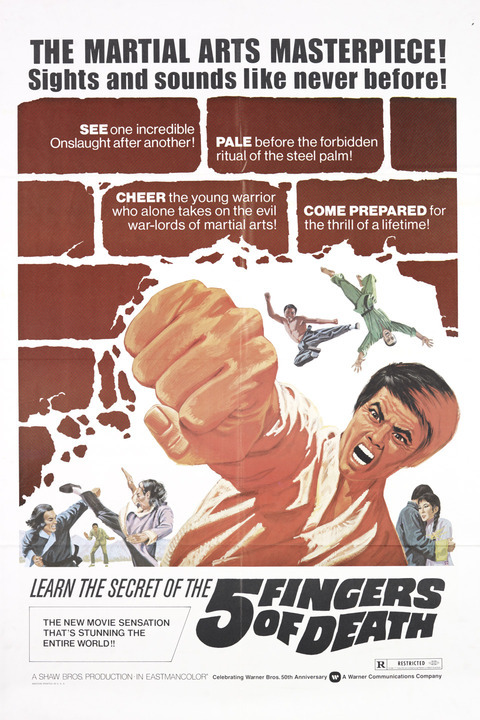 King Boxer aka Five Fingers of Death is a 1972 martial arts film directed by Chang-hwa Chung and starring Lo Lieh. Made in Hong Kong, it is one of many kung fu-themed movies with Lo Lieh in the lead. He appeared in many similar efforts from the 1960s, pre-dating the more internationally successful Bruce Lee. 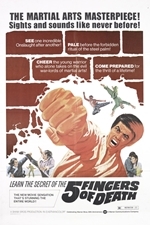 Released in the USA by Warner Bros. in March 1973, the film was responsible for beginning the North American kung fu film craze of the 1970s, though it is overshadowed by Enter the Dragon released later that same year. The film has a cult following in the U.S., and was referenced in Quentin Tarantino's film Kill Bill, which sampled the theme from the television series Ironside played during several of its fight scenes. When asked in 2002 by Sight & Sound Magazine to name his twelve favourite movies of all time, Tarantino placed "Five Fingers of Death" at number 11.